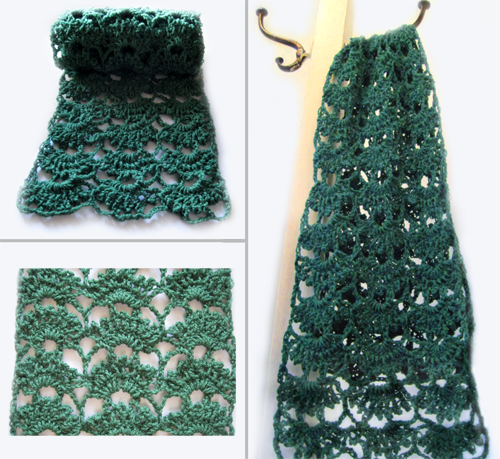 Now 30% OFF in the Crochet Spot Store, this pattern is for a lightweight and classy spring scarf. 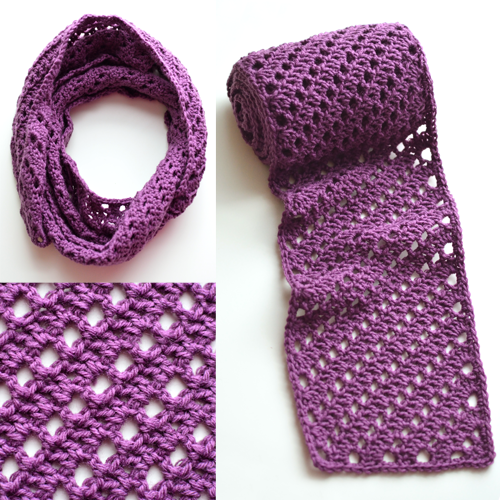 With an open work pattern this scarf would be a great addition to your spring wardrobe! The scarf is long enough to wear in a tied fashion around your neck and wide enough to drape over your shoulders. It looks great tied like an ascot with a light jacket and a t-shirt! Pattern is already marked down. There is no need for coupon codes. Log in, then add the pattern to your cart and check out. All purchases can be downloaded directly from your account once completed. Offer ends May 2, 2019. A few months ago my dad asked if I could crochet juggling balls, and I was happy to oblige. They were easy and fun to make especially with this colorful sock yarn I had in my stash. I filled them with rice to make them heavy enough for juggling balls. Since juggling balls are easy to misplace I made a mesh bag to keep track of them. My dad was delighted with his Christmas present, which now lives on his desk at work much to the amusement of his coworkers, who sometimes stop by to juggle. Why not make a set for someone you know who could use a new hobby? 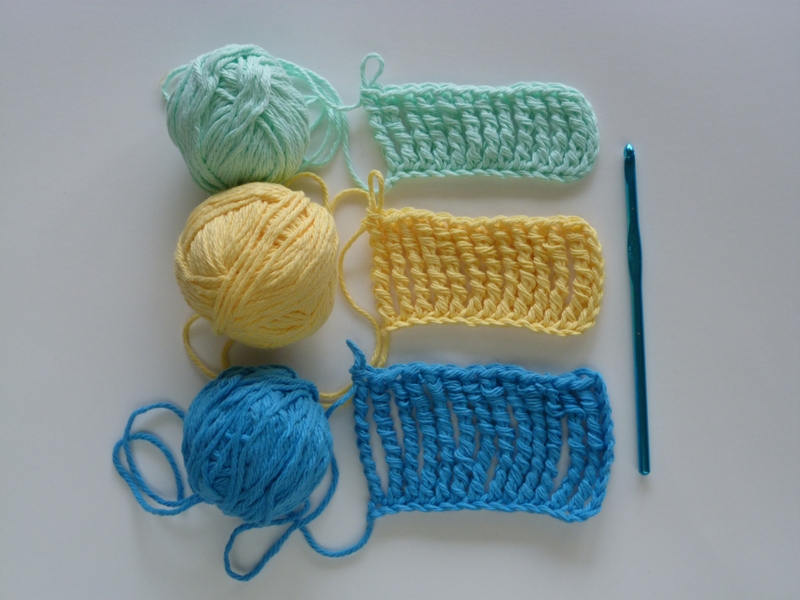 Are you familiar with tall stitches in crochet? You know, the ones that seem to have no name past treble crochet (tr)? When I was learning to crochet I fiddled around with the lengths of crochet stitches but never actually used them in a pattern. Recently I realized even after all this time I still hadn’t crocheted much with tall stitches. I thought it was about time I delved into that area of crochet to find out more about it. 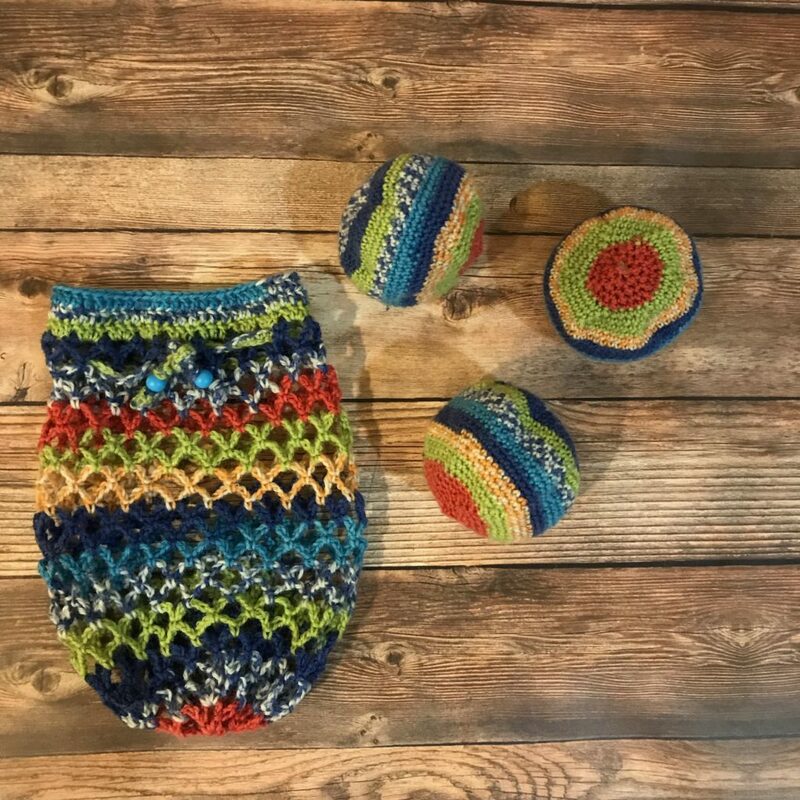 Do you have any questions about crocheting tall stitches? Keep reading to find out! 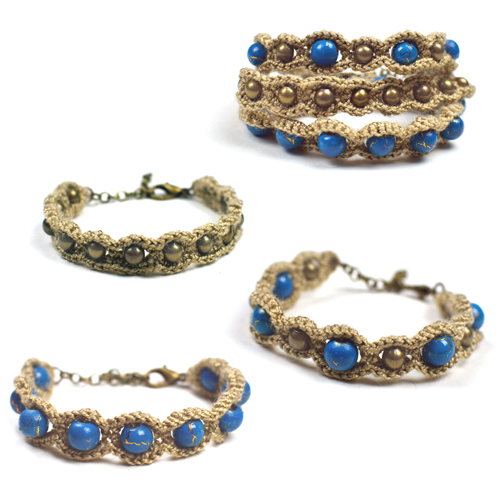 Now 30% OFF in the Crochet Spot Store, Inspired by by the cords and beads of Bohemian style bracelets, this set is crocheted with tan thread and bright beads of various sizes. These friendship bracelets look great worn by themselves or stacked together. The set includes 3 different bracelet patterns: a bracelet that is crocheted with large beads, a bracelet that is crocheted with small beads, and a bracelet that is crocheted with alternating bead sizes. Each bracelet is crocheted in the round. 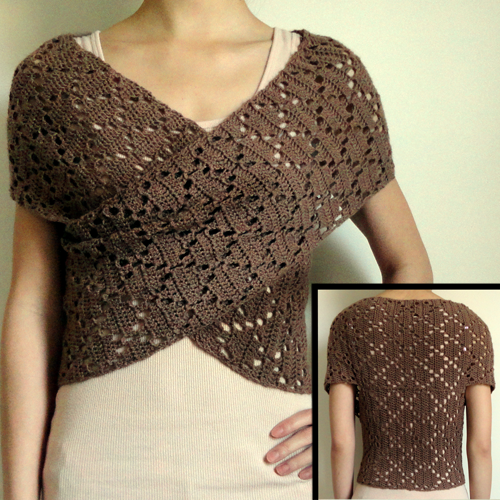 Previous experience crocheting with beads is not required, as a photo tutorial is included within the pattern. Experience crocheting with thread is recommended, but not required. Finish off the bracelets with a clasp and an extender chain to make the bracelets adjustable. Bracelets can also be adjusted by adding more or less beads if desired. Pattern is already marked down. There is no need for coupon codes. Log in, then add the pattern to your cart and check out. All purchases can be downloaded directly from your account once completed. Offer ends April 18, 2019. For many kids, the most fun part of playing dolls is dressing them up. This mermaid tail is an especially fun outfit that can be enjoyed by both kids and older doll collectors. It uses the cobble stitch, a pattern of alternating single and double crochet that’s much easier than it looks. The stitch makes the tail durable for many afternoons of play, and you can use any color combination you like for a variety of looks. 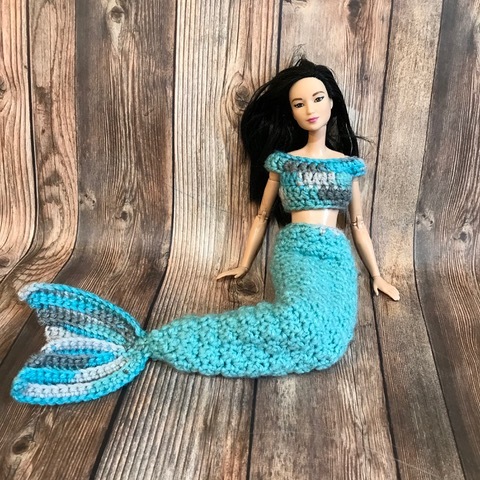 You could even include a mermaid tail along with a Barbie doll for a unique gift. 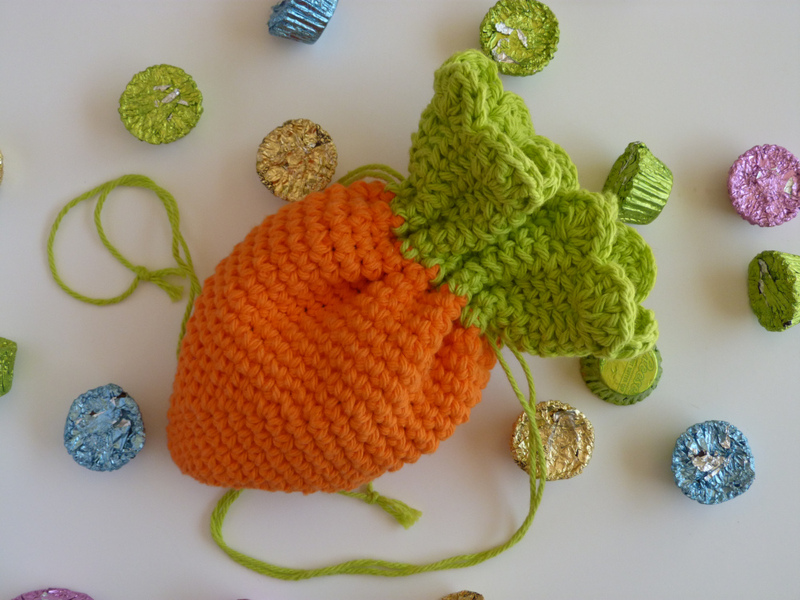 This carrot cinch bag is made in one piece, starting from the point of the carrot and increasing. The carrot greenery is even simpler, made with a mesh stitch pattern of single crochet and chain 1 intervals, and topped with a lovely round of shells. Whip a few of these bags up in no time and fill with any little treat to give as gifts for Easter! Spring is here, spring is here! Out with the bitter cold, and in with the warm sun and the bright spring colors. 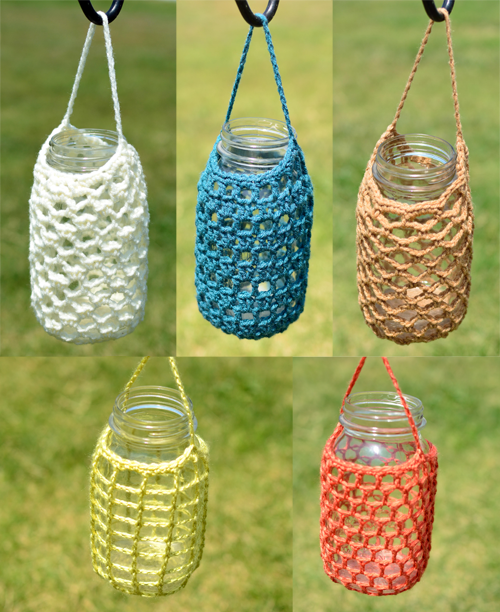 In this post I round up a few of my favorite crochet patterns for spring. 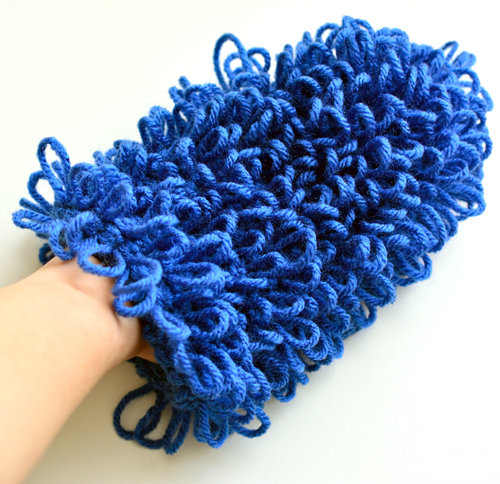 Whether you’re ready to start spring cleaning with freshly crocheted scrubbies, adding a pop of color to your home decor, or adding light weight accessories to your wardrobe, there is something for everyone to crochet. Grab your crochet hooks and get crocheting for spring! I’ve always loved wearing flower crowns because they have such a fairytale feeling. A boring day gets much more exciting when you feel like a princess. But daisy chains wilt and flower crowns aren’t always that comfortable to wear, so I crocheted an alternative. 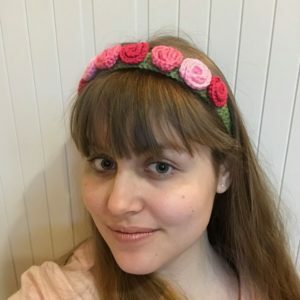 This flower crown is quick and easy to make if you know the basics of Tunisian crochet, and the headband is easily adjustable to fit any size head. Try mixing up the colors to make something that will brighten your winter days! Now 30% OFF in the Crochet Spot Store, crochet this giraffe lovey for a little boy or girl who can use an extra snugly friend. The security blanket makes a great gender neutral gift for a baby shower. 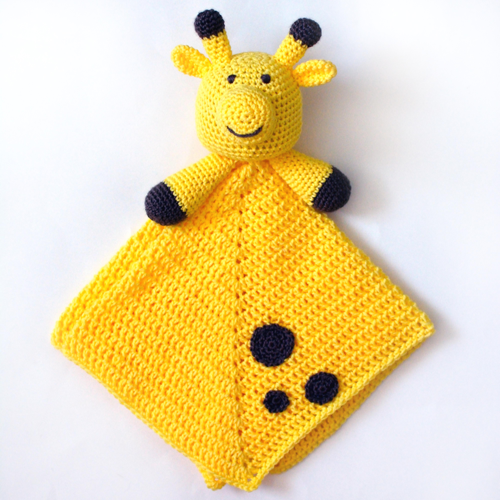 The giraffe is crocheted amigurumi style and then attached to a small square blanket. All of the pieces are crocheted seamlessly in the round, like a spiral. Pattern is already marked down. There is no need for coupon codes. Log in, then add the pattern to your cart and check out. All purchases can be downloaded directly from your account once completed. Offer ends March 21, 2019.